Ambitious growth requires being comfortable with uncertainty. Here, we look at new ways of agile working that can support your business and help it flex to meet the demands of the future. As the saying goes, the best-laid plans have the potential to go awry, and even the most meticulously designed roadmaps feature question marks among the milestones. Predicting when your headcount will need to increase and when you’ll hit key achievements is a necessity, but your plans shouldn’t leave you burning money when the economy throws a spanner in the works, or you need to pivot your business model. ‘Agile’ has long been buzzing around boardrooms, and it should be applying to more than your approach to tech. These principles can and should be utilised when defining the structure of your workforce and, necessarily, your space. Working in an agile way enables sustainable growth and protects your business from the whims of the market and external global factors. 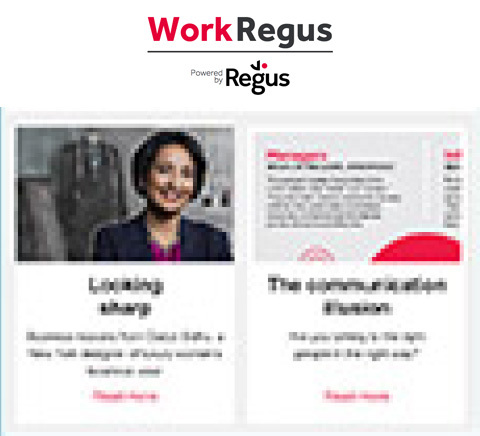 Seventy-three per cent of respondents in Regus’s annual Great Big Survey, which canvasses the opinions of over 20,000 senior managers in business, commented that the main benefit of flexible working spaces is the ability to scale operations up or down at short notice and no extra cost. This could be central to staying afloat during your company’s definitive first years. This means having access to high-quality workspaces that make a positive impression, but only paying for exactly what you need, when you need it. Hiring doesn’t have to mean leasing more and more expensive office space. Today’s employees demand more flexibility in their working hours and locations, rather than a permanent desk in a fixed location. 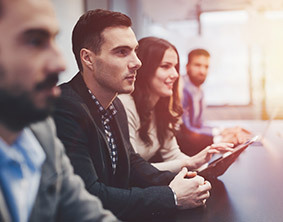 A less rigid approach could tip the scales in your favour when trying to attract top talent: 61% of Great Big Survey respondents said they’d change jobs to gain more flexibility. This has a positive impact on costs too: 79% of sole traders agreed that co-working spaces made more financial sense than fixed leases. When you’re managing your business’s expansion plans, the last thing you want to do is commit to a space that isn’t fit for purpose – whether it’s too small for your growing team or bigger than anticipated once you’ve found your feet. Our data shows that clients are favouring global expansion as a driver of growth. Seventy-four per cent of Great Big Survey respondents agreed that global expansion gets your brand noticed and 66% found that it generates new leads due to closer relationships with local businesses. When the time is right to extend your geographical reach, the last thing that should stifle it is prohibitive overheads. Taking on a flexible lease is an economical way to test the waters in new markets before taking the plunge long-term, and Regus’s global presence makes this simple whether you’re in Birmingham, Berlin or Buenos Aires. Doing the best by your business might mean something completely different today than it did yesterday. This pace of change makes an agile, cost-effective approach a necessity, enabling you to shed what’s not working in favour of dynamic new ideas that might. Traditional long-term leases work for some, but expanding companies benefit from flexible leases. Regus’s office space options are designed to keep up with your business needs – whether that need is to accommodate one person with their laptop or a thousand-strong workforce. Contact us to understand the right approach for your business, and to ensure you’re fully future-proofed.